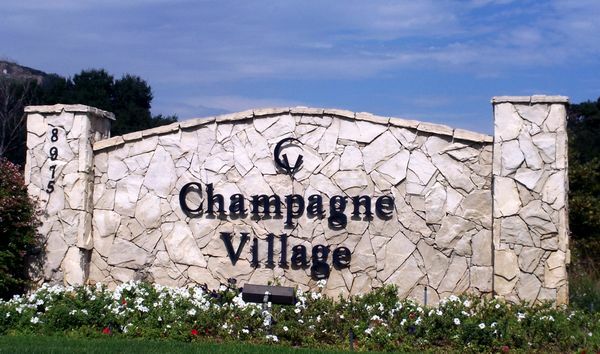 Champagne Village is a land-owned manufactured home senior community. 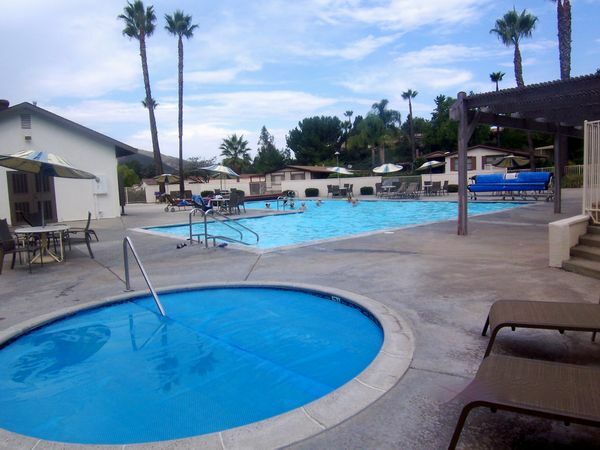 Founded by Lawrence Welk, the Village is adjacent to the famous Welk Resort. The resort community was formerly known as "Lawrence Welk Village." Champagne Village and the Welk Resort are just off Interstate 15 north of Escondido, California, about 38 miles north of downtown San Diego. Champagne Village was where Welk actually lived in a rather affluent "cottage." Champagne Village overlooks two golf courses and residents enjoy The Welk Resort Theatre which performs live Broadway musicals year round. The security gated 55+ senior community offers numerous amenities such as tennis courts, pool and spa heated year round, picnic grounds with barbecue, free RV storage, bocce ball, putting green, golf practice area, exercise gym, billiard room, free movies, library and computer room. CV has 457 land-owned homes.